Kinda sorta review this time, never had a “Doll” before. Now I’ve owned dolls, tons of barbies, and such when I was younger but never any one of these types of dolls. The most expensive “Doll” I’ve ever gotten before! I figure it’s also great practice for when I save money for my Dolfie Yoko! 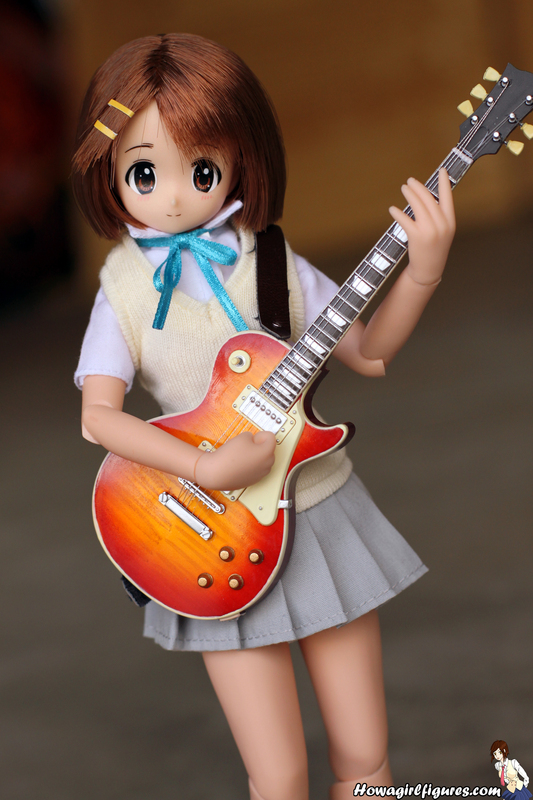 Of course had to get the cutest and my favorite K-on! girl Yui! I know everyone is bonkers for Mio but while she’s a cutie I rather prefer the energetic, hyper, silly characters. Yui is the epitome of the type of characters I love and see very close to my own personality as well. Now I can’t full review her and tell you the pros and cons, when this is my only doll I have nothing else to compare her to other than my old barbies. But I figure pictures speak louder than words, so have a few pictures! You’ll have more soon as well! I’m leaving for London, United Kingdom and then Paris, France today! I’ll be taking Yui with me to enjoy the wonderful sights! See what crazy hi-jinks she gets herself into! You’re so lucky you get to travel to so many places! Have fun! As for the Yui (who is my favourite character form the series as well), the only thing that really bothers me is her lack of neck? I-it looks like she doesn’t have a neck! Either way she is very cute. Either way, I have a few pictures of Yui up on my blog also, she’s too cute not to take photos of! I love her so much, haha. She’s my first anime doll as well. hooray! we both have her and love her! I’ve got her sitting on my desk holding giita! LONDON! I love London, I lived there for a semester and was happy with the city I was living in every day I was there. I think fondly of those days often 🙂 I hope to go back again someday. But before that! I need to go somewhere else first! JAPAN! I already have a few hundred dollars saved specifically for the trip I plan on taking in 2 years. sweeto! I loved london so much! 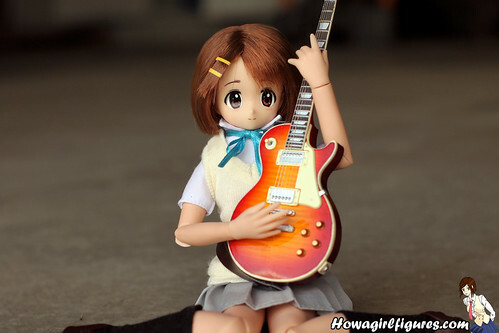 omg i rely want this yui doll i love how cute she is and hay its not weird i love cute things!!! Eee! Yui <3 She looks a litte stuffed into her clothes around the neck though… is that an Azone pecularity…? Congrats on getting your first Doll, by the way. How articulate are her joints? now that would be just awesome! Someone needs to get on that! Awww! 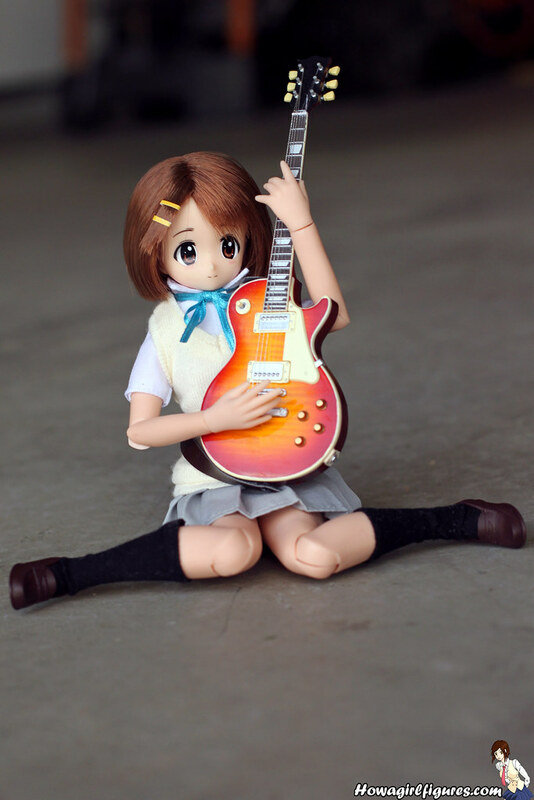 Yui is so adorable. I love how nicely detailed Giita is, too. she’s so cute and i love how Giita has strings! I never have liked Azone’s dolls. They just look too cheap to me. 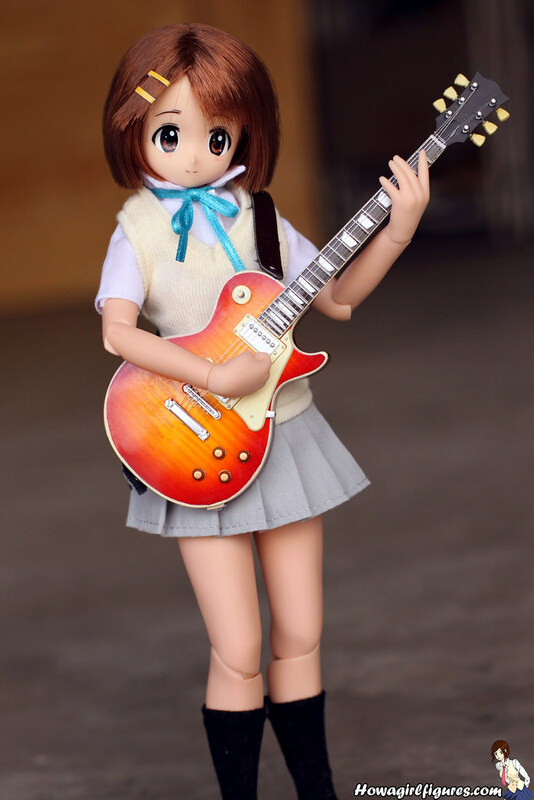 Then again, I may just be spoiled since I already have a Dollfie Dream Nia. Not a doll fan myself, maybe because I’m a guy? Looks nice for what it is though. I’ve always wondered why people would buy dolfies which are meant to represent a character from an anime? They bear not much of a resemblence and I’d rather have a completely unique doll. Hey all, had fun reading your discussion and wanted to join in. 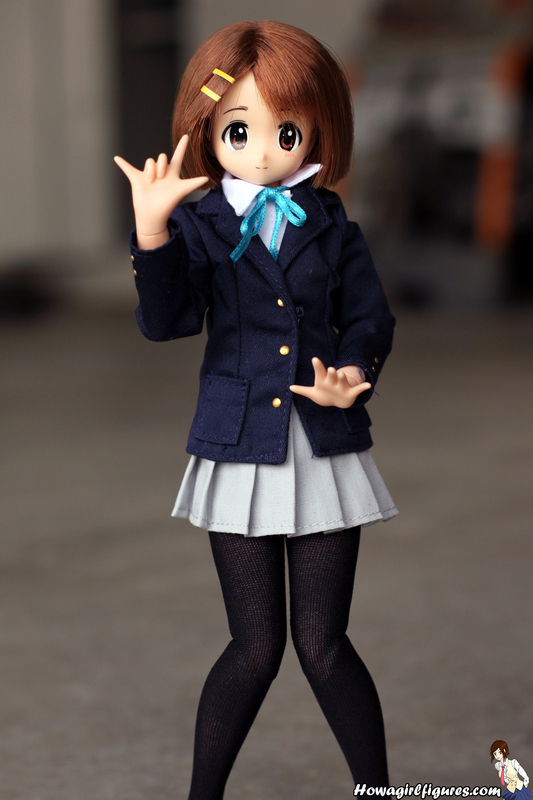 I’m a figure collector but never had a doll until I pre-ordered Kanata from Sora no wo to recently. Just couldn’t resist, too cute and love the outfit. I guess my question is, how weird is it to collect Azone or Dollfie dolls as a guy? A couple of you commented on that, I’d love to hear more thoughts on that. Not that it’d stop me from getting my Kanata! Beleve me, it’s mot weird at all. Most of the people who buy and collect dolls are guys. Besides, guys like girls, it’s the natural order of things.